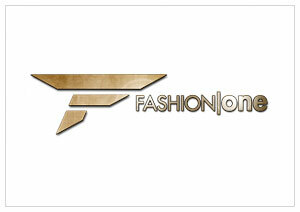 January 27, 2015, New York – Fashion One, the premiere fashion, entertainment and lifestyle international broadcaster, kick-starts the year with a brand new special featuring the freshest new faces in the modelling industry. Meet the child models that are taking the industry by storm in Mini Models. These cute and adorable kids are out to conquer the fashion world! In this special feature, get to know about the fun and fascinating children’s modeling industry from the world’s top child modeling agencies to the designer brands who book these charming fashionistas. See these new darlings in action as they stump, and strut in various fashion weeks as well as strike a pose in designer campaigns and fashion magazine covers. One thing for sure, this multi-million dollar industry is definitely no child’s play. "I personally believe an agency should be all about quality not quantity," expresses Front Management co-founder Christian Alexander, "It’s not only about the beauty of a child, we like our children to be happy, fun and just look natural. Clients like to book kids that are easy on set and have great personality that comes across on the camera." Catch Mini Models airing on January 28, 2015, Wednesday at 22:00 (GMT+8 for Asia / GMT+1 for the rest of Europe), exclusively on Fashion One, and FO. Check your cable operators for your local TV channel listing.